Niseko Snow Report, 13 December 2017. El Dumpe the Mexican snow god is in the house! 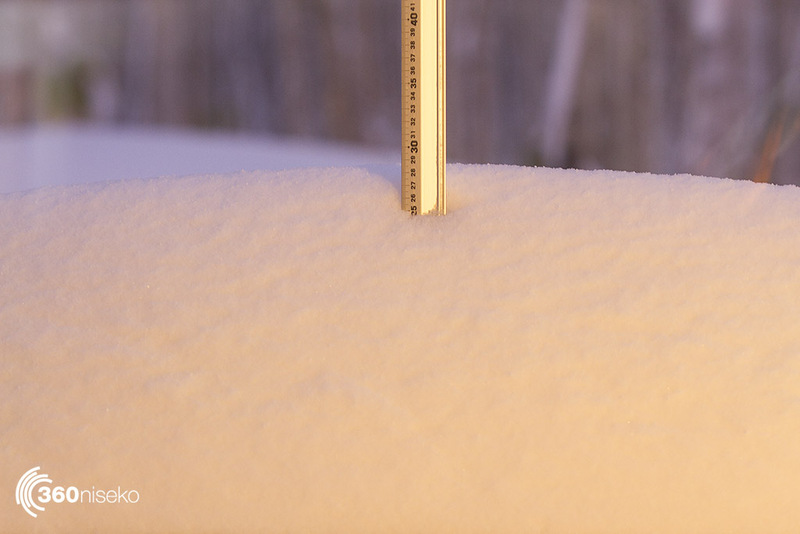 *25 cm has fallen in the last 24 hours in Niseko. At 6:22 am today the temperature was -6.5 °C. Wow what a difference 24 hours in Niseko can make. About an hour or so after yesterdays report the snow hit and it just kept hitting hard all day long, when the team at 360 put thier PJ’s on and pulled the doonah over thier head last night it was still going. 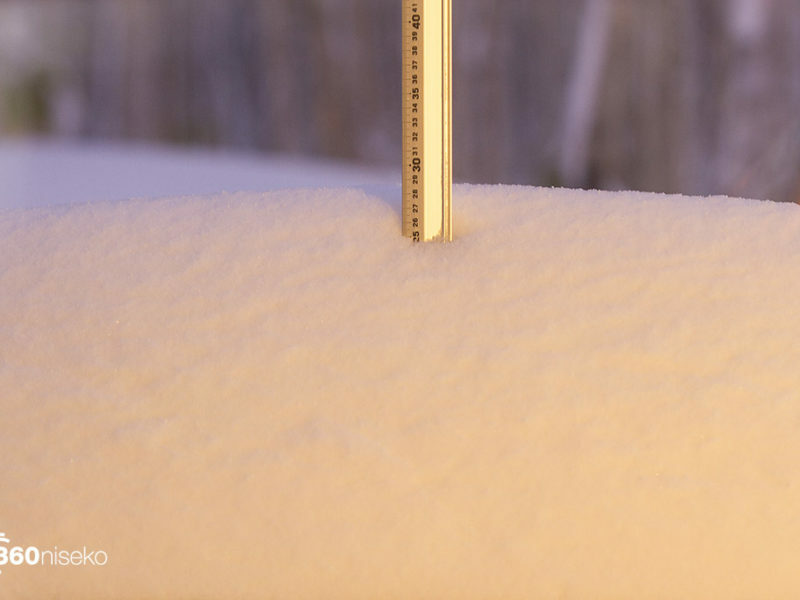 The snow was accompanied by some very strong winds and it’s going to be hard to judge just how much there is out there the snow station is showing 25 and the driveway is showing 60. Regardless it will be deep and in some drifted areas it will be crazy deep. A little red flag though people, we have not seen todays avie report but regardless it’s a dangerous day in the back country and even the roped off areas of the resort. This big dump has landed fair and square on-top of a text-book rain layer and will need some time to bind and get stable. The dragon will be stirring so don’t wake him. There are not too many people around and even a small slide or hole could bring you unstuck with no-one there to see you. The snow is forecast to keep on coming and Thursday is shaping up to be a classic. Keep an eye on the changing conditions by jumping back to check the live feed of Hirafu Zaka. See you out there! Snowfall in Niseko, 13 December 2017.